OBJECTIVE: To reduce blindness from Retinopathy of Prematurity (ROP) in target countries. To educate and develop leaders in pediatric ophthalmology and neonatology. Carefully explain the nature of ROP, how to develop screening protocols, teach the classification of ROP, indications for treatment, timing of treatment, and need for continued follow up. Identify interested physicians who are pediatric ophthalmologists, neonatologists, NICU nurses and leader academic centers for ophthalmology and neonatology. Ophthalmologists, neonatologists and NICU nurses who understand risk factors for ROP, current methods of treating the preterm infant in the NICU, as well as understanding the nature of ROP, classification, need for timely screening, treatment and long term follow up of visual problems related to ROP and prematurity. Increased survival of premature infants, regular ophthalmic screening of premature infants, reduced co-morbidities in the preterm infant, reduced rates of sepsis and reduced rates of severe ROP (AP-ROP). Leaders in each NICU monitor screening rates of ROP, and reductions in severe ROP, leaders in neonatology record improvement in survival of preterm infants and reduced co-morbidities (e.g. sepsis). Identify NICU nurses who have dedication and leadership schools to understand current approaches to proper neonatal care. National and regional seminars held regularly to facilitate teaching. All pediatric ophthalmologists receive online training in retinopathy of prematurity and pass a certifying exam online that is required by the Minister of Health. Protocols for the prevention of ROP in place in neonatal units. Protocols for the detection/screening of ROP in place in neonatal units. Educational material for parents in place in neonatal units. Improved NICU nurse to preterm infant ratios. Pediatric ophthalmologists are trained in proper technique of using indirect ophthalmoscope to examine preterm infants, and to usefully employ laser surgery to treat ROP at appropriate times. Neonatologists become familiar with advanced oxygen delivery techniques with air/oxygen blenders, vapotherm and other new devices for less invasive ventilation. Establish and/or invigorate national societies, national policies and ongoing training and education of physicians and NICU nurses involved in the care of preterm infants. Hands on teaching of proper methods of indirect ophthalmoscopy and laser retinopexy for detection and treatment of ROP. Residents in ophthalmology learn proper techniques of using indirect ophthalmoscope. All ophthalmology residents learn proper techniques of indirect ophthalmoscopy. Training center for indirect ophthalmoscopy and laser surgery established in leading cities in target countries and pediatric ophthalmologists undergo regular training. Assist national leaders in procuring the proper equipment for both neonatal care and the proper screening and treatment of ROP in the NICU. Training centers for teaching practicing pediatric ophthalmologists established using indirect phthalmoscopes with model eyes, using scleral depression to properly view the retina. > 90% of eligible infants receiving supplemental oxygen have monitoring of oxygen saturations. Leaders in academic ophthalmology in training centers regularly teach indirect ophthalmoscopy to all ophthalmology residents. Key neonatologists travel to elite NICUs in Europe and the USA for training in advanced oxygen delivery techniques as well as the latest methods of stabilizing and treating preterm infants. > 90% of eligible infants undergo all the retinal examinations/screening procedures required and at the correct time. Selected neonatologists at level 3 NICUs teach neonatologists in all NICUs the methods of advanced oxygen delivery and proper care of the preterm infant. Selected pediatric ophthalmologists travel to world class, high volume centers where ROP is treated and there learn improved techniques of indirect ophthalmoscopy and laser retinopexy in preterm infants. 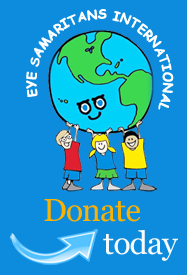 100% of infants detected with sight threatening ROP receive treatment within 72 hours of detection. > 85% of treated infants have good structural outcomes after one or more treatments.